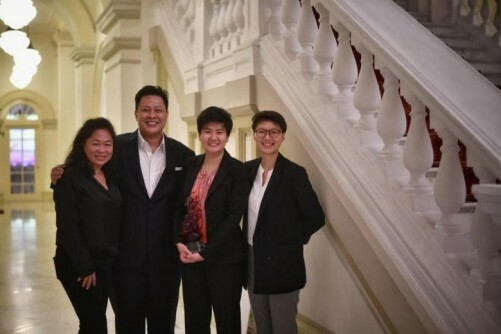 Bettr Barista, founded in 2011, was named Social Enterprise of the Year, the highest honour of the 2017 President's Challenge Social Enterprise Award, at the Istana. The company was presented the award and prize of $50,000 by President Halimah Yacob. The President's Challenge Social Enterprise Award was started in 2012 to recognise outstanding social enterprises which have contributed back to society through their businesses. This year, 41 enterprises hailing from various industries, from healthcare to childhood education and food and beverage, took part, with 19 being shortlisted. Homage and Jaga-Me, two enterprises which help match patients and their families to caregiving or nursing services, were jointly awarded the Social Enterprise Start-Up of the Year and each given $20,000 in cash. F&B company Popejai took home $25,000, with its Youth Social Enterprise of the Year award. Popejai has provided employment to people with disabilities, at-risk youth and individuals from low-income families. Out of its 30 staff, 90 per cent of them are from disadvantaged groups. Besides these four award winners, two enterprises were given commendations. Soon Huat Bak Kut Teh received a commendation for Social Enterprise of the Year and ADL Rehab was given one for Youth Social Enterprise of the Year. In a speech, President's Challenge Social Enterprise Award evaluating committee chairman Tan Soo Nan said he was heartened by the rapid developments in the social enterprise industry in the past few years. He said this was largely due to the establishment of the Singapore Centre for Social Enterprise in 2015. This helped to raise public perception of social enterprises, as well as develop the capabilities of these companies, added Mr Tan. "Each one of the 19 shortlisted social enterprises is already a winner, for they have demonstrated the courage to discover new ways of delivering social benefits without turning to handouts and donations," he said. More Success Stories wait here!